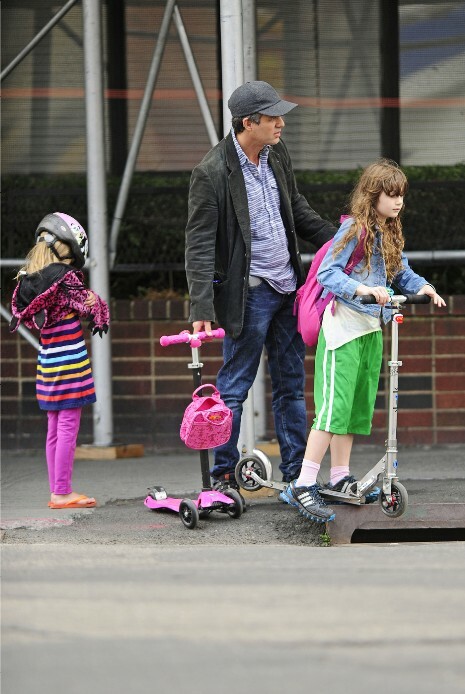 Mark Ruffalo likes walking in the park in the West Village with his two daughters Bella, 8, and Odette, 6. Bella speeds ahead on her scooter. Little Odette had a terrible scare when dad took her to The Avengers premier. She got so upset when she saw her father turn into the Hulk onscreen that she had to leave the theater. Above, Odette gave her dad some cell phone tips. he hopes she will continue her fear for boy’s! !